If you're more of a PC guy (or gal), chances are that you own, or have owned a Dell, HP or IBM computer. And if your computer's getting old, or needs computer repair, maybe you're even considering a new one. These three are some of the leading PC companies worldwide, but how did they get started? The eldest is IBM, which actually stands for International Business Machines Corporation. Created by a three-way business merger in 1911, IBM was known in its wee years as Computing-Tabulating-Recording Company (CTR). Over the years, IBM has produced everything from a tabulating system used to record the 1920 U.S. Census to the first computer capable of beating a person at chess (and not just any person – the 1997 World Champion of Chess). Bill Hewlett and Dave Packard were classmates at Stanford when they built their first product – an audio oscillator – in a Palo Alto garage in 1939. The Walt Disney Company thought it was a great idea, and bought eight of them to help with sound development for "Fantasia." 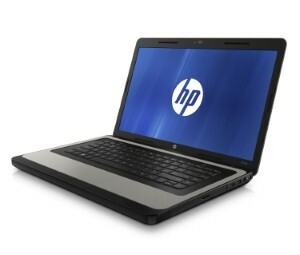 The young founders flipped a coin to determine whose name go would go first, and thus, Hewlett-Packard (HP) was born. When he was fifteen, Austin, Texas, native Michael Dell bought an Apple computer, just to take it apart to see how it worked. While a student at the University of Texas, Dell quickly realized that no technology companies were selling computers directly to consumers, and using his own savings – $1,000 – he began building and selling computers of out his dorm room. The year was 1984. By 2000, Dell was a billionaire. 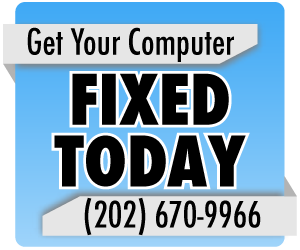 For more questions about your computer, or what PC might work best for you, contact your local Washington, D.C. computer repair center. Information storage: Local or cloud?